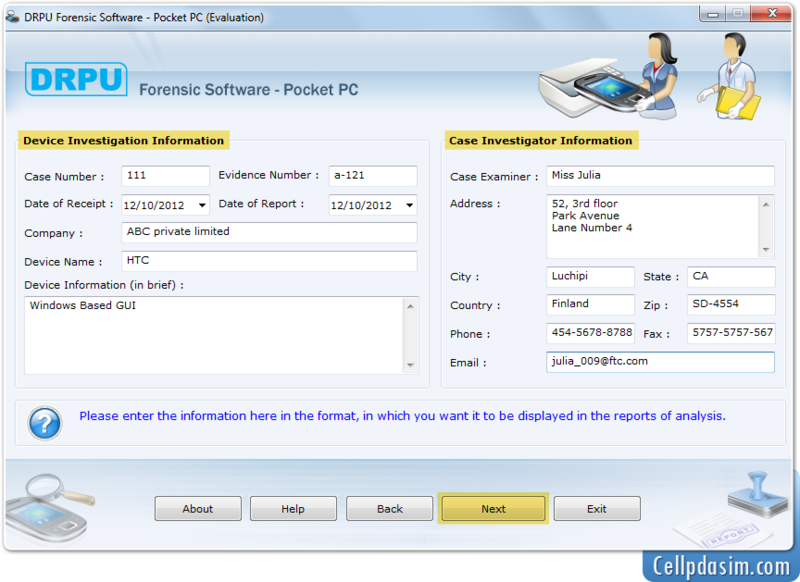 Screenshot displays device Investigation and Case investigator information. Go to Next button to proceed. 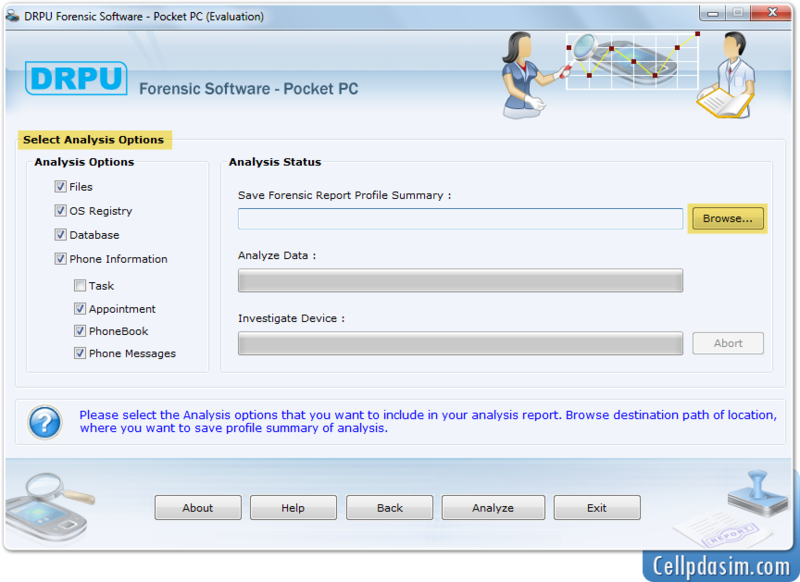 Go to left tree panel and choose Analysis Options that you want to include in your analysis report. Browse path to save profile summary of analysis.